← Time To Get Back On It! Poured from a 12 oz bottle into a stemmed teardrop glass. It pours with a viscosity not unlike heavy crude, with a very thin dark brown head that dissipates quickly. The body is jet black. 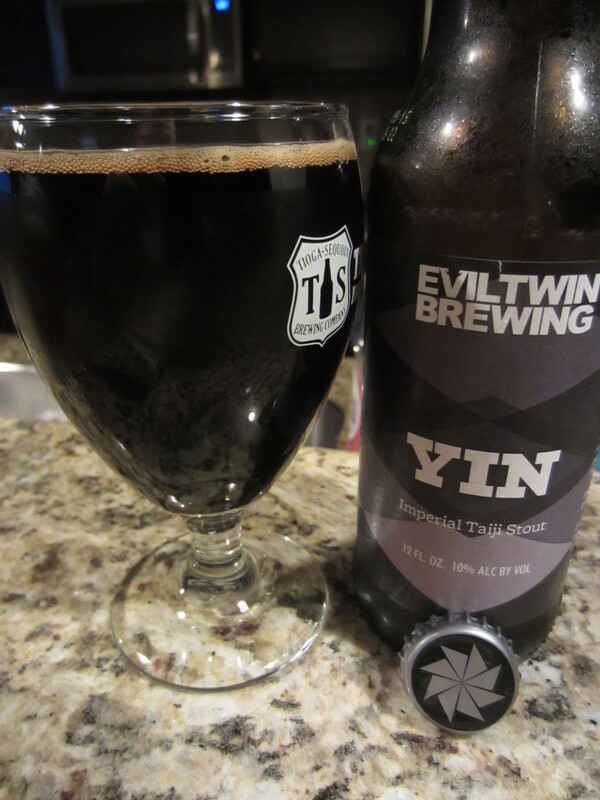 I really expect a huge, chocolaty, malty aroma based off of the pour, and unfortunately Yin doesn’t particularly deliver. Faint chocolate notes, both milk and dark, are the main aromas. Underneath that lightly smoked malts mix with some alcohol presence. All are very light for such a big beer. 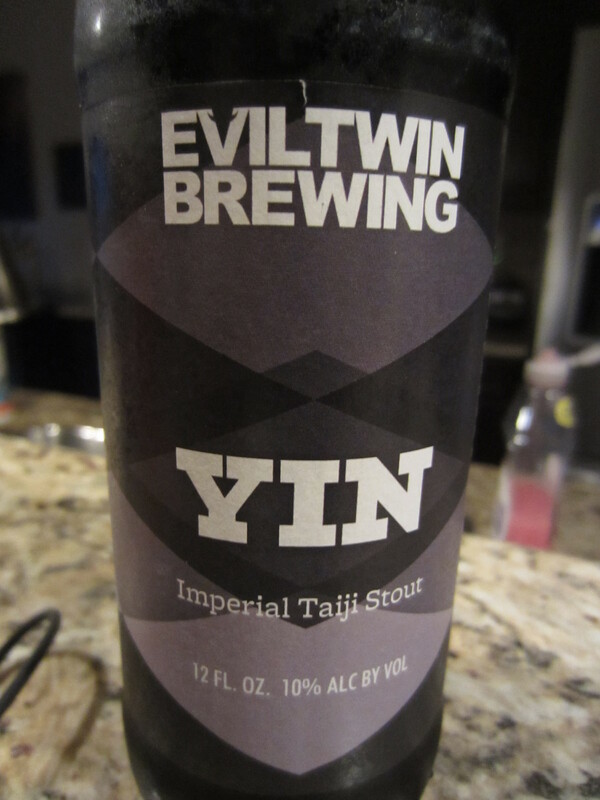 The mouthfeel is thin for a 10% imperial stout, and well balanced in the sense that neither malt sweetness nor hop bitterness stand out. The flavors match the aromas pretty dead on, faint milk/dark chocolate notes are the most prevalent. Some smokey, toasted grain flavors give way to alcohol notes, which are a bit stronger than in the aroma. That being said, the alcohol heat is certainly not off-putting, and overall it doesn’t drink like a 10% beer. 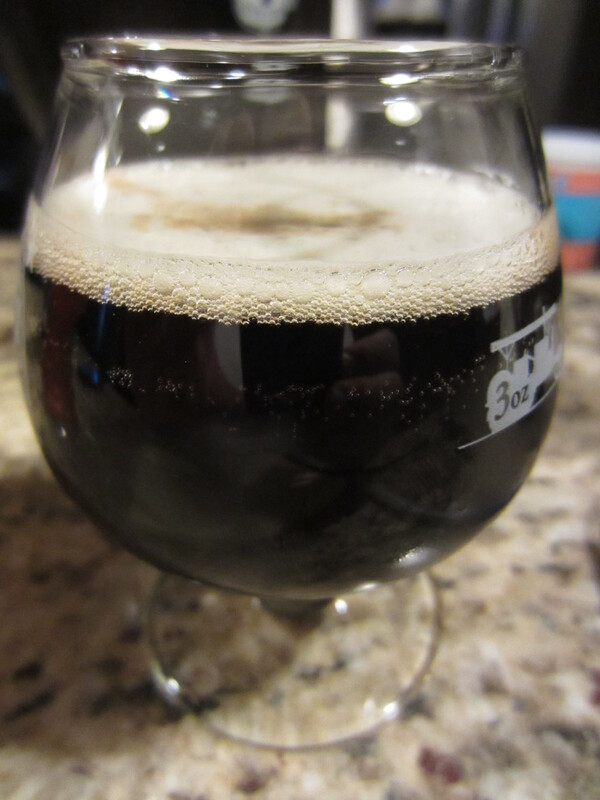 This entry was posted in Beer Reviews, IPA, Stouts/Porters. Bookmark the permalink.